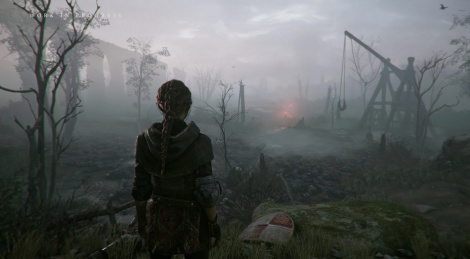 Last E3, Focus unveiled a new demo behind closed doors, everyone is now able to see those 16 minutes of uncut gameplay of A Plague Tale: Innocence, Asobo Studio's adventure game. 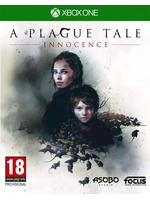 The sequence shows a nice art direction as Amicia and her young brother Hugo cut a path through a land filled with rats and blood due to the Hundred Years' War going on between France and England. The title will launch in 2019 for PC, PS4 and Xbox One. Beautiful atmosphere and pretty intriguing concept! I was actually thinking about Day's Gone with its hordes when seeing all the rats, but I have got to say, this is more intriguing conceptually and narratively. yep, it still looks great. yeah, not really seeing much here that's interesting. i found it pretty funny that you can stealth around and avoid enemies...while carrying a lit torch. lol. that's either really forgiving mechanics or thick as mud AI. Not saying the game is boring. Could be good. The bit they chose to showcase was though. Hope it's better than that. good lighting and landscape detail. it looks pretty mellow but sometimes mellow games do turn out to be sleeper hits. good presentation to say the least. i'd like to see some complex puzzles with the mechanics. If they by any chance meet up with the Pied Piper of Hamelin, then i'll definately play it.